Quality over Quantity and why I keep going back to Everlane. This year especially I’ve really tried to scale down my shopping. Do I really need 27 pairs of denim? No no I don’t. Do I really need 12 different white sneakers? Most definitely not. Since we moved back to New York the space struggle is very real, and I had pretty much hit hoarder status when it came to clothes, shoes, and beauty products. That’s where Everlane comes in. 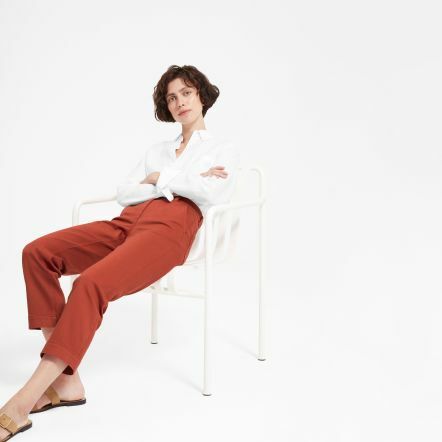 Thanks to Everlane I’ve really been able to scale down my shopping habits and buy pieces that are not only beautiful but will last. There’s nothing worse than wearing a top and washing it to only find out it’s ruined. For me it’s about making a purchase that will last and is classic in style. 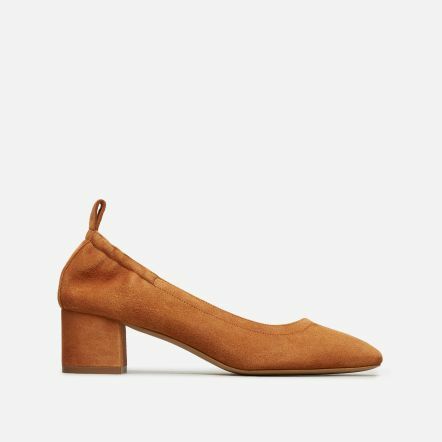 The Everlane Day Heel is no exception is the creme de la creme when it comes to classic style and quality. A heel fit for a crazy day of running around NYC that has the craftsmanship of Italian artisans. As it should, because thats where these babies are born. Italian made shoes at an affordable price. Yes and yes! I hope this post helps you do a purge of your current closets and start thinking about what you are buying and where it is coming from. What you were should be an investment and not just na afterthought or impulse purchase. It took me a long time to get here, but I’m glad I’m at a place where I’m conscious of what I buy. 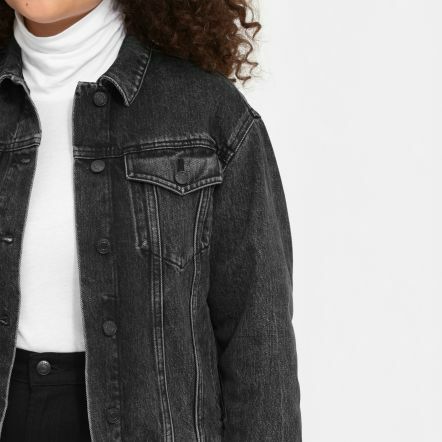 Thank you Everlane for sponsoring this post!